Competitive bodybuilding is a sport in which athletes attempt to develop and maintain the perfect muscular body. Competitive bodybuilding is a sport in which athletes attempt to develop and maintain the perfect muscular body. As bodybuilding competitors show off their physique and perform with a number of poses, they are judged by a qualified panel of experts who will render the final decision as to the winner. When it comes to bodybuilding, the appearance of a competitors physique is much more important than how much he/she can lift. The sport of bodybuilding, therefore, should not be confused with or compared to a competition of strength. Instead, it is one of visual appeal. 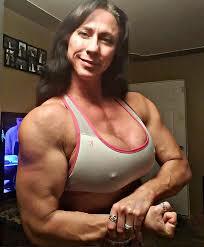 Bodybuilding is open to both men and women with specialized categories for each. For those who regularly compete in bodybuilding competitions, or are interested in participating, the main strategy for contest preparation includes a combination of resistance weight training, a customized nutrition plan and plenty of rest. Resistance training is very important in bodybuilding as it is this that causes an increase in muscle size. The importance of nutrition comes into play as muscles grow, are injured and repaired during the bodybuilding process. In order for the body to properly heal itself, a customized nutrition plan is a must. Generally, bodybuilding competitors will eat a larger number of meals per day, but in smaller quantities. For instance, rather than eating three normal meals a day, a bodybuilding competitor may divide their food up into six or seven small meals. Because of the strenuous regimen required of any bodybuilder, athletes often enlist the help of a nutritionist and a professional trainer. These individuals can work together to make sure that the athlete is training properly and also receiving the proper amount of nutrition. Rather than having to figure out how much to eat, when to eat and how often to work out, the trainer and nutritionist will handle all of the details while the athlete concentrates on building muscle. At the end of the day, which is often exhausting for many bodybuilding competitors, rest is essential. Not only for the obvious reasons, but it is during rest that the muscle growth occurs. Without eight hours of sleep every night, some bodybuilding competitors find it difficult to regain energy and rebuild strength after an exhausting workout. In addition, many competitors find that an afternoon nap may further increase their body’s ability to increase muscle. Individuals who are interested in entering into the world of bodybuilding should consult with local trainers in their area. If there are no trainers to be found, a stop at the local gym may provide answers as to finding a qualified trainer. Bodybuilding is a sport that requires a lot of dedication and even more hard work, which is evident in the physique of most competitors. The information in this article is intended to be used for informational purposes only. It should not be used in conjunction with, or in place of, professional medical, nutritional or training advice regarding bodybuilding as a sport or as a hobby. If you are considering a venture into the world of bodybuilding, you must consult with a physician prior to beginning any exercise and/or nutritional regimen.